Whether it’s releasing #1 singles such as ‘U Don’t Know Me’ (Feat. Duane Harden) and ‘Bonkers’ with Dizzee Rascal, or underground anthems like ‘The Funk Phenomena’ and ‘Flowerz’, Armand Van Helden is a top producer. With a career spanning over 26 years; his back catalogue includes seven studio albums, hundreds of remixes and singles under various aliases. Now, Defected Records welcome Armand as their 27th House Master, alongside Frankie Knuckles, MK, Masters At Work and the latest, his good friend Todd Terry. 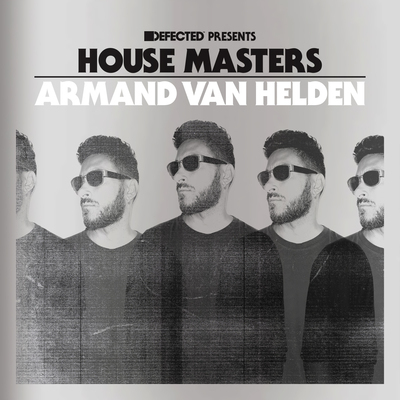 ‘Armand Van Helden – House Masters’ showcases his versatility as a producer, with a selection of both anthemic songs and straight-up club tracks. The album features 20 of the Boston-born producer’s finest productions, from recent commercial hits like ‘Barbra Streisand’ as Duck Sauce (w/ A-Trak) to old skool tracks such as his Crazy Trauma Mix of ‘Stay Together’ by Barbara Tucker back in ‘95. His remix of 2016 summer track ‘Freak Like Me’ by Lee Walker vs. DJ Deeon is another example that Armand is still at the forefront of pushing boundaries in dance music, just as he was 22 years earlier when dropping his game-changing remix of Kim English’s ‘Nitelife’, which is still a staple in many DJs’ sets today. For a man who ‘hated house music’, before falling head over heels for it back in the early-90s, Armand has established himself as a popular DJ and producer. The album is out 2 September. I used to be suggested this blog via my cousin. I'm not positive whether this submit is written by him as nobody else understand such distinctive about my trouble. You're amazing! Thank you!